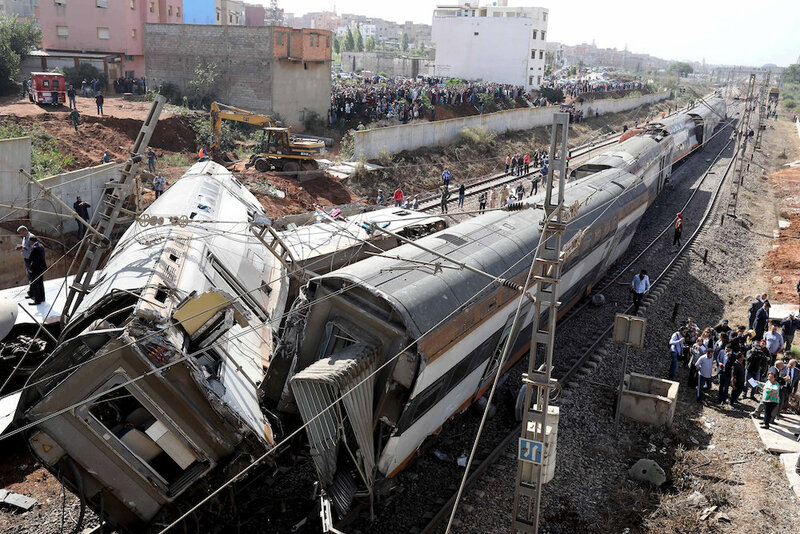 SIDI BOUKNADEL, Morocco: At least seven people were killed and about 80 injured when a train was derailed near the Moroccan capital Rabat on Tuesday morning. At least one wagon overturned in the incident near Sidi Bouknadel, a town 10 km north of Rabat, on a coastal line connecting the city of Kenitra to the commercial hub of Casablanca. "I heard the very loud sound of the accident and rushed to the site, where I saw people screaming in fear and pain, while others were jumping out of the train windows," a witness told Reuters. "Some people lost their arms and legs in the accident," the medical source there said. Relatives of the victims wept at the hospital.